I'm happy to announce that SCEPCOP has been featured in the popular paranormal magazine Atlantis Rising in their new issue 77! They send out the PDF version before shipping out the hard copies to their subscribers and bookstore chains, and so I've just obtained the PDF version of Issue 77, which is due out in September. It looks great and has an interesting opening line and catch phrase as well as a nice cartoon graphic. Anyhow, this is great news, because it means that now we will be getting more publicity and traffic, especially when their hard copy goes out. 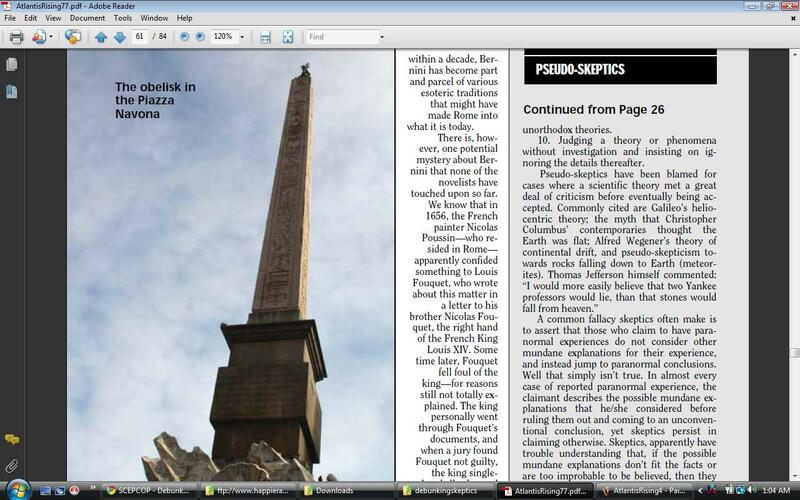 Fortunately, the editors of Atlantis Rising have allowed me to upload the issue to my website so that my members can download it in PDF format and see it for themselves. Here is the download link. Right click on it and click "Save As" and open it in Adobe Acrobat or a PDF reader. 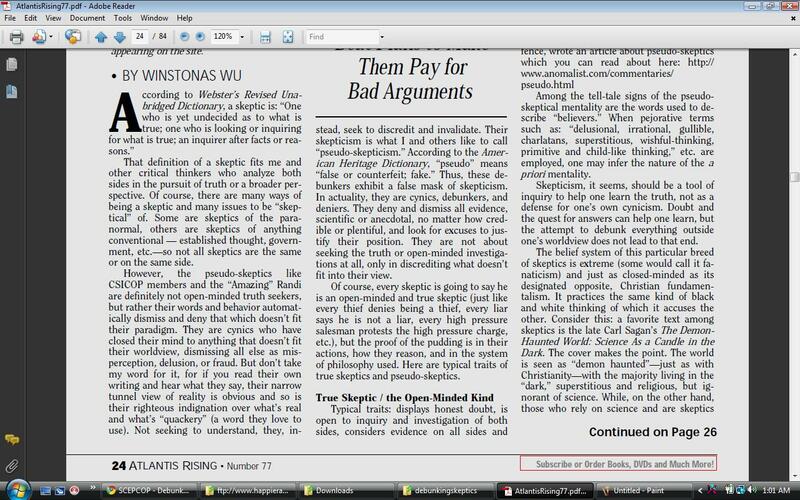 The article on SCEPCOP starts on page 24, continues on page 26 and then on page 61. 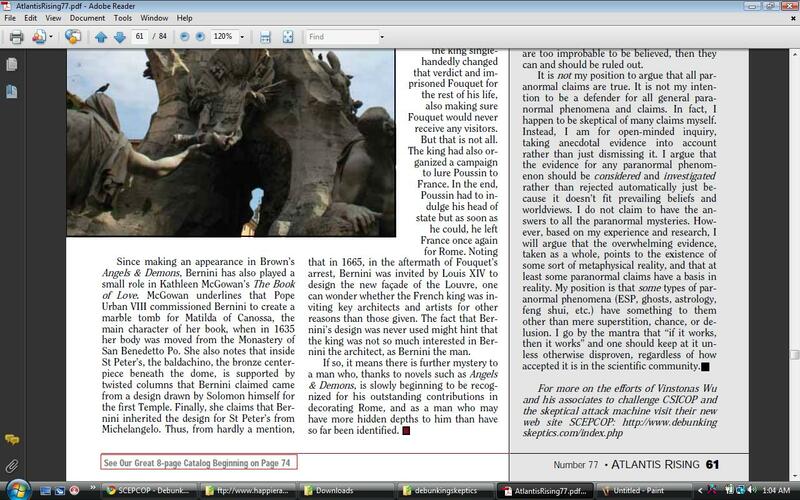 In Adobe Reader, simply type the page numbers you want to go to at the top. Later on, I will post screen shots of the article in this thread for you to see it. 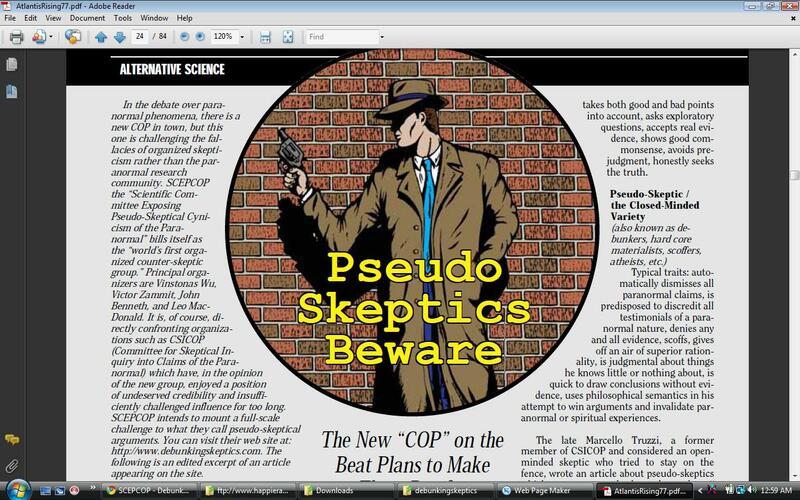 Here is their intro to SCEPCOP. Sounds nifty huh? I love the part about the "new COP in town". challenged influence for too long. 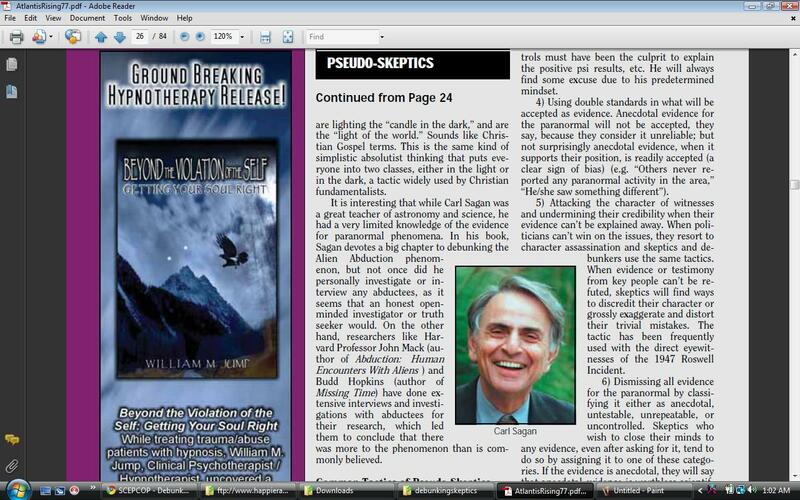 Here are some screen shots of the article about SCEPCOP in Atlantis Rising Magazine. I tried to display them as images here instead, but they wouldn't fit in the post screen. I know it has been a second, but this magazine feature is where I first heard of SCEPCOP... Good stuff. It would be a great pleasure to get my hands on a hard copy of the magazine so I could have it in hand. Seeing something online is great, but knowing that the product went from a keyboard, to magazine printing [Spam Link removed by Moderator], to your hands and eventually your home is a feeling that cannot be matched. Scepcop, is jordan your gimmick account or something? Anyways, is there a way to get a copy of that mag? ?